LiL-Pro sports themed bowls, plates and sets by Remarkabowl are the perfect way to score big with your kids while they eat! Now they love and learn with every bite, as they feel the texture on our sports-bowls and see new shapes that are unique to every first time "Lil Pro" who tries them. Watching the big game has never tasted so good! Remarkaballs by Remarkabowl are sports-themed perpetual motion squiggle balls. Once you turn them on they roll around the floor indefinitely, always finding a way out of tight spots. Babies and toddlers can chase them around, getting exercise while staying busily amused. Smakaball has the amazing ability to allow people to make an exhilarating catch by snatching the ball right out of the air in a seemingly magical way on land and in the water. You can do tricks if you are playing by yourself or play catch with a friend or play monkey in the middle or 500 or even a team sport like Ultimate Smakaball. 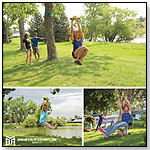 All ages and all genders ranging from unathletic to very athletic can have fun playing with each other without hindering the enjoyment of one another. CRAZY LEGS is the game of FITNESS FUN that gets players UP and MOVING! 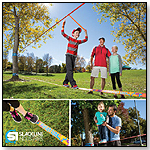 Each space on the game board represents a new physical challenge for children and families to JUMP, TWIST, SHAKE, and EXERCISE their way to victory! (Game features 60 cards of both exercises and kids’ yoga poses). 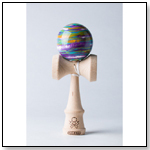 Marbles are back for a limited time! This tama features our classic marble paint style with a purple, yellow, and seafoam combo. Coated with our high-gloss Pro Clear. 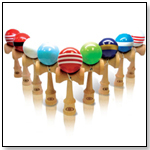 Every Sweets Kendama comes with an extra string, bead, instructional book and stickers. "Paddy O’Shea’s Golf Card Game™," a new card game that is more fun than Uno and more challenging than Hearts! It is a great, new, unique game that golfers and card players find fun and challenging. It emulates golf in many ways; the lead goes back and forth; it is stimulating, exciting, at times frustrating and the object of the game is to score as few points as possible. The game is easy to learn, and unpredictable in its play. Strategy, skill, and luck are involved. The game consists of nine hands (“Rounds”) and usually takes 40 to 50 minutes to play a game. Most players want to play more than one game! Paddy O’Shea’s Golf Card Game is designed to be played by 2 to 6 players ages 10 and up. NFL, MLB, NBA, NHL, MLS and collegiate sports wall decor for virtually any team, player, or stadium. Perfect for any fan-young or young at heart. 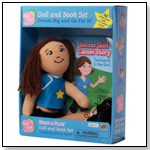 Display in bedrooms, rec rooms, offices, and kid/man caves! Smart Balance Bikes by Smart Gear, which are pedal free and without training wheels, first and foremost help a child develop the most important skills necessary to later ride a 2 wheel bicycle with pedals: BALANCE and MOTOR SKILLS. Smart Balance Bikes were designed to develop a child’s balance and coordination by simply allowing the child to sit and walk or run with the bike by pushing with their feet. If the bike starts to fall, kids instinctively regain their balance using their feet. Once they’ve gained some momentum and balance control they can lift their feet up as they feel comfortable and start cruising! Traditional toddler bikes with "training wheels" don’t necessarily train or teach a child how to ride a bicycle. The training wheels are merely a crutch that give the child a false sense of security and merely keep the child busy or entertained rather than actually helping the child develop the necessary skills to ride a bicycle. With Smart Gear's Graffiti Series, children design their own bike using Dry-Erase markers! Smart Gear's Graffiti series bikes promote the growth of a childs individuality and independence by encouraging them to create and customize their own designs right on their bikes...and then show them off! And, when they need a change, just wipe off and start all over again. Here’s an amazing new throwing game that gives kids the arm of an NFL quarterback. SKY CATCHERS™ makes it almost effortless to launch the Tripod Rocket up to 100 feet...and catch it just as easily. As soon as they see it in action, kids pocket their i-phones and come running. Simple and intuitive to learn, the added leverage of the Launcher Stick multiplies arm strength for incredible throws, while easily snagging the Tripod legs of the returning Rocket. Kids have a blast creating contests to reward greatest distance, height,and precision. Ages 5 & Up. When the sun goes down, our LED-emblazoned JUMP ROCKET™ go UP! Way up! Light up the night and dazzle the neighborhood with our new JUMP ROCKET™ LED NIGHT SHOTZ™ Set. We’ve added LED lights to the rockets to give them bold and dramatic effects after sunset (and in daylight, too). Includes jump pump, launch pad and 3 LED Rockets with soft, safe foam nose cones. Ages 4 & Up.